Remember I mentioned about putting together a few boxes of goodies from some of the natural/organic brands and stores on Monday? Well, I have a name to these boxes and they’re called VivaBella Green Beauty Boxes! There will be five of them filled with green love to be given out in December and here’s a glimpse at the first batch of the goodies – three bottles of 200ml Jo Wood Organics Tula Cleansing Body Mousse and two bottles of 200ml Jo Wood Organics Tula Nourishing Body Cream worth over S$300 from natureLOVA.com. Lovely? Likey? More are coming! Yes, this is a giveaway but it’s run slightly different from the usual and you’ll need to follow this blog and my Facebook page closely, starting this week. 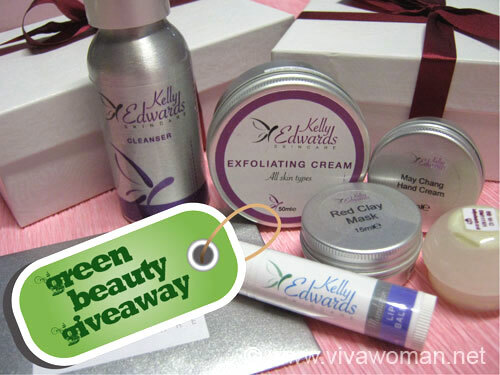 As the objective of this giveaway is to get you be more aware of green beauty and at the same time, to introduce you to some of the cool natural/organic brands and stores, so I’ll be publishing a couple of “Green Beauty” posts. In fact, I’ve started out with the post a new initiative to build a community. You’ll need to comment on all these posts if you want to lay your hands on those goodies. On top of that, if you promote these posts via social media such as Facebook, Twitter or your blogs and let me know here, you’ll earn bonus chances. You might like to know that out of the five boxes, four of them will go to my Singapore readers while one box will go to an international reader. Winners will NOT be picked randomly this time around. Rather, they will be handpicked based on the quality of their comments and participation level throughout the period. So today’s task is simple. Go check out natureLOVA and be a fan of their Facebook page too. Then come back here to let me know anything cool you’ve found out about the company and the brands they carry. You may comment more than once but remember, it is quality and not quantity that counts – so don’t cut and paste links but write something instead. Anyway, I’ve reviewed the Bio a+o.e haircare range that natureLOVA has brought in from Italy. Besides this brand, the online ecoluxe apothecary has brought in a couple of other premium organic beauty products such as Jo Wood Organics, Spiezia Organics, Amal Oils, Agronatura, Laboratoire Natur Aroma, Balm Balm, Madara, Suki and Trevarno. natureLOVA is based in Singapore but they ship internationally. Come 29 November to 24 December, they will be participating in the Takashimaya Christmas Fair, where they will be showcasing 66-30 (men skin care) and Agronatura (body care), as well as soft launching a new Swedish brand Estelle & Thild. Anyway, it’s a good idea to be fan of their natureLOVA Facebook page as besides being kept in the loop about their activities, you may just be one of the ten fortunate ones to win a Madara Cleansing Milk or Toner. Previous Post: « Share: do you have a monthly beauty budget? Oh…that’s really interesting! I’ll like to give it a try sometime. Thanks for the tweet! I was most interested in their attention to fragrance quality, buying their scents from Grasse, France..
Oh these products have a sweet scent…even when they are unopened. The products natureLOVA carries interests me a lot and I’m already eye-ing some of them before i know about natureLOVA. One of the is the Amal Oils, 100% Argan Oil which is known for the best hair oil you can have. Also known as Moroccan oil, it is widely used for repairing hair damages and giving it a healthy shine, and less commonly for moisturizing hands and cuticles. With a potent amount of EFAs and antioxidants, it works better than EVOO for hair treatment but it also costs more for the same amount of oil. Even though it is expensive, it’s still on my to-try list. wow..good news for me as they carry the suki brand. 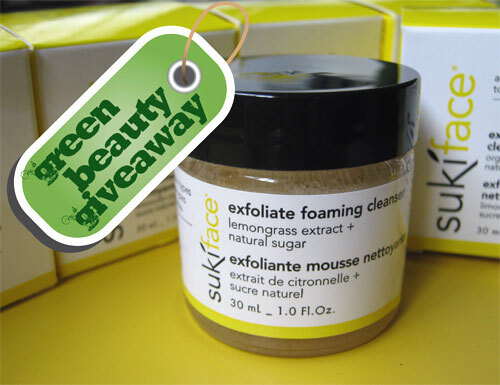 i love suki exfoliate foaming cleanser cos i can use it daily as a cleanser and as a face scrub as well. I’ve tried a sample of the foaming cleanser and quite like it. Hmm…maybe will get it next time. I have spent so much time to learn about cosmetics all these years but not really touch Natural & Organic skincare. This is a good opportunity to explore more quality natural beauty care. Jo Wood has her beautiful taste for life and beauty, and her organic products are well-recognized in western beauty industry. It is very interesting to know organic fragrance does exist in this world!! I respect the holistic approach of Jo Wood to her organic product, all the way from formulation, ingredient supplier, manufacturing, storage and organic %. Thanks to natural organic enthusiastic- natureLOVA to bring them in so more Singaporean can have wider choice of natural skincare. 1) Why Organic — I’m always interested to know what is the philosopy behind the brand, e.g. why the brand/shop was started etc. NatureLOVA doesn’t say much here, it’s more general information. I’m always intrigued when I read about people who start their own organic/natural brands becasue of difficulty finding something good yet ‘non-toxic’ in the market. Oh, I guess Jo Wood’s story ‘satisfies’ me in this respect 🙂 but frankly, I’m more interested in face rather than body products. MFS makes your face oilier? It can be drying for certain skin type so perhaps that’s why you’re secreting more oil. Such a pity. I always thought that the word organic means quality and really organic by nature. But according to NatureLova, the word â€œOrganicâ€ does not mean much these days; and some companies have misused the word and mislead comsumers. And in-house organic certifications that commercialised producers run offers limited to no information on certification standards used and the potential conflict-of-interest of a producer certifying his own products have increasingly caused concerns. Whereas At NatureLOVA, they work with producers endorsed by â€˜EcoCertâ€™, a global control and certification body governed by legislation and leading U.K. certification bodies such as the â€˜Soil Associationâ€™ and â€˜Organic Farmers and Growersâ€™. We cant really trust the word organic just by the printing on the label. Guess, we will need to input some hardwork in doing some research before purchasing products these days. Interesting site that I’ve not discovered before with quite a wide range of products. for some reason, this shop reminds me of “organic apotheke”. Not sure if you remember but OA markets their products as luxurious, apart from being organic. So when I saw NatureLova’s tagline and read the word “ecoluxe”, I knew right away that they carry some products which are at least over $150. I was drawn towards the hair products on natureLOVA’s online shop, like Bio a+o.e.’s Anti-Age BioShampoo (uber-cute packaging) and Agronatura’s Damask Rose Hair Shampoo (rose!). They may be a tad pricier than the shampoos I’ve been using all my life, but hey, you pay for quality and the reassurance that these are good, effective products with non-threatening ingredients. I would like to try their “66Â°30 FACE SCRUB & MASK 3-in-1 100ml”. Whatelse could be more convenient than this multifunctional scrub & mask. I love 3-in-1. This is awesome! 🙂 another online shop for us to get our skincare from! with such a wide selection of brands that we haven’t seen here, so many choices! It gets so difficult to choose what to put on your face because I’m a person who tries to stick to using products from a certain brand to keep some consistency in the results of the skincare. naturaLOVA is in Takashimaya Basement 1 for this december. With promotions going on and the takashimaya 10% discount for members this weekend, I am definitely going down to splurge on 66Â°30 facial cleansers for my boy and many other wonderful potions for myself. I found out that natureLOVA is a online store by Nuluxe, who is an importer and distributor of premium organic beauty products, based in Singapore. 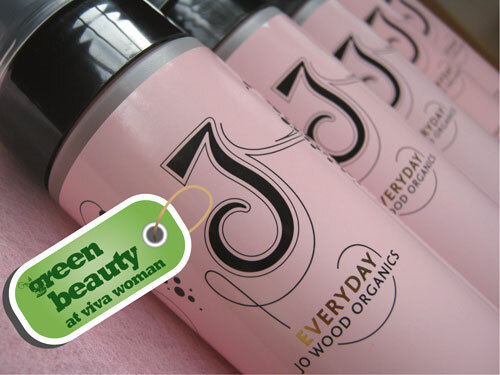 And it carries a wide range of the worldâ€™s finest natural and organic beauty products for women and men. Their products are free from harmful ingredients, and uses only the best ingredients that will benefit and are safe for our skin and the environment. Firstly, I have a very good first impression on natureLOVA when I see a link to ‘The Story Of Cosmetics’ video by safecosmetics.org. This is a company which shares the same values with me. I checked out the brands they carry. Unfortunately for me, I realise I don’t know many of them. The few that I know of is only through your blog. Perhaps, these products are not in KL. Even if there are, it is little and far between. I haven’t thought about this before, but sites like NatureLOVA.com which have a few brands under the website might be a good way to find and try out better products. Right now, I don’t know what and where to buy less harmful cosmetics. This might be a start to learn about new brands and products. I’ve read ‘About Us’ and I’m please to know that all their hand-picked products will not contain ingredients I try to avoid such as parabens, artificial colours/fragrances and sodium lauryl sulphate. It means that a lot of not-so-good products are already filtered for me. I won’t have to read in-depth and think too much about the ingredients in all the products. I’ve just mailed them to find out about the shipping to Malaysia. Hope it’s not too ex! I think it’s good that natureLOVA carries a range of organic brands. They all seem to be of high quality. I am especially interested in the brand “Madara”, the origin of their ingredients is very unique and interesting. I’ve started switching to organic shampoos and am currently starting to switch organic conditioners too. The price tag on the conditioners are rather high, but I suppose all good things comes with a higher tag? Frankly, I won’t mind spending if a product is good and works as it claims, such as the Bio a+o.e Reinforcing BioCream or Restructuring BioCream. I color my hair often as I’ve lots of whites and I also do not have thick hair. So I would focus on these 2 first, together which their shampoo. oh that’s too sad…I read this post today 🙁 I would have loved to win some goodies…anyways I didn’t know that Speizia is one of natureLOVA’s products itself…came across the Spezia products through your website only…. is naturelova a sg website? naturalLOVA carries alot of nice brands like Agronatura, Luzern Laboratories,Natur Aroma,Bio a+o.e,Spiezia Organics,66Â°30,Madara, Suki, Jo Wood Organics,Balm Balm,Trevarno,Amal Oils. I like the smell of herbs.Bio a+o.e products contains products of organically grown medicinal herbs which i think makes it different from other brands.These herbs are chosen to replace the chemical substances used in other commercial products. I like the greenish packaging! Madara too, contains herbal extracts. 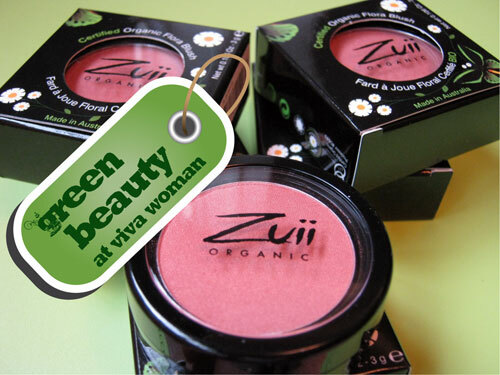 It is organic cosmestic certified and its ingredients includes flower extracts as well as other natural substances. Herbals give out a pleasant smell which gives a soothing feeling. I have dry lips and some fine lines can be seen on my lips as well. I have yet to try any organic Lip Balm and I think Balm Balm lip balm will be moisturizing for my lips. I like that they carry Madara brand. I have been using Madara day and night moisturiser for a year plus and it has agreed very well with my skin, keeping it supple and moist. I recommended it to my sister who liked it too! Thought Madara is from Latvia, its formulation is suitable for our temperate climate. Its EcoCert certification gives me peace of mind on its quality. NatureLova (cute name!) carries many brands that actually sound all very foreign to me! However, the one that particularly caught my eye is the Madara brand that has such a simple and beautiful packaging. Interestingly, Madara is Latvian for Cleaver and it makes use of plant and herbal extracts which have weathered the short Latvian summers and the long, long Baltic winters. Derived from such wonders of nature, I am very eager to try out its deep moisture range of moisturizers! and since i’m very into oils. i’d like to try amal oils as well. actually, with you featuring all these sites, opens up a lot of options on where to order products. thanks for that!